In Tottori, among the beautiful sand dunes and Uradome Coast, lies the world’s only sand museum filled with wonderful sand sculptures. This time we will take you into the world of popular leisure spots, historic landscapes, and delicious cuisine. At the center of Eastern Tottori lies Tottori City, a city first established as Inabanokuni in the 7th century with its own unique, developed culture. Inside the city are a number of historic ruins as well as excellent traditional handicrafts. Also in the area are Japan’s largest sand dunes, known as the Tottori Sand Dunes and the beautiful, deeply indented coastline of Uradome Coast. There are also a number of other outdoor leisure spots you can enjoy throughout the area. The best place to use as a base in the eastern area of Tottori Prefecture is Tottori City. You can either take an airplane, a train or a bus from either Tokyo, Osaka, Hiroshima, or Fukuoka. The most convenient way to get to Tottori City from Tokyo is by airplane. If you’re taking an airplane from Tokyo, head from Haneda Airport to the Tottori Sand Dune Conan Airport. The approximate length of the ride is one hour and ten minutes. From the airport, you can take a bus to JR Tottori Station. You will reach the station in 20 minutes. Furthermore, if you use ANA’s Experience Japan Fare you can fly from Haneda to Tottori one-way for 10,800 yen. If you decide to come by shinkansen, take it to either Himeji or Okayama then change to the express train for Tottori Station. It takes between five to six hours and costs approximately 20,000 yen. If you are coming to Tottori from Osaka, take the Super Hakuto Express and get off at Tottori Station. It takes approximately two and a half hours and costs around 7000 yen. If you are coming to Tottori from Fukuoka, take the bullet train to Okayama and change to the Super Inaba Express. It takes approximately four hours and costs around 17,000 yen. Should you be traveling from Hiroshima, to Tottori City, you will want to take the shinkansen to Okayama, then transfer to the Super Inaba Limited Express train. It will take about two and a half hours, and cost about 10,000 yen. For those of you wishing to come by the most convenient route, we recommend taking the bus. The bus from Osaka to JR Tottori Station takes roughly three hours and usually costs 3700 yen. Currently, there is a special discount ticket for people from overseas for 1000 yen available until the end of March 2018. Or, if you take one from Hiroshima to JR Tottori Station, it will take about five and a half hours, and cost just 4500 yen. There are night buses that run from Tokyo and Fukuoka to Tottori Station. The bus from Tokyo takes about nine and a half hours and costs 10,500 yen while the bus from Fukuoka takes nine and a half hours and costs 9700 yen. Within Tottori City, there is an all-you-can-ride taxi service for 3 hours for 2000 yen, which we highly recommend. There’s also the Kururi Bus within the city that only costs 100 yen per ride, and a loop bus operating especially for main tourist spots on Saturdays and holidays called the Kirinshishi Bus. The Kirinshishi Bus has a day pass, which lets you ride freely all day for 600 yen. For tourist locations outside the city, how about taking a bus or taxi from the nearest station? The number of buses that run is quite low throughout the day, so be careful not to miss yours. We also recommend renting a bicycle for more convenient travel. 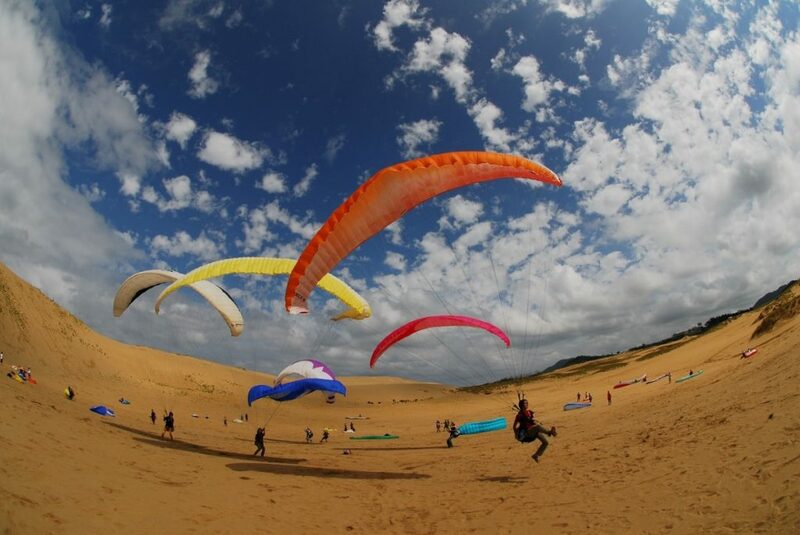 The Tottori Sand Dunes are approximately 16.4 km east to west and 2.4 km north to south, making it Japan’s largest in the area. It’s a great place to view the Sea of Japan. Whether it’s riding a camel through the dunes, paragliding above or doing yoga and riding bikes on the sand, you will undoubtedly enjoy yourself. Close by at the Sakyu Kaikan, are wonderful souvenirs so when visiting the sand dunes, you should definitely stop by for a look. To learn more and make reservations for different activities on the sand, please click here. 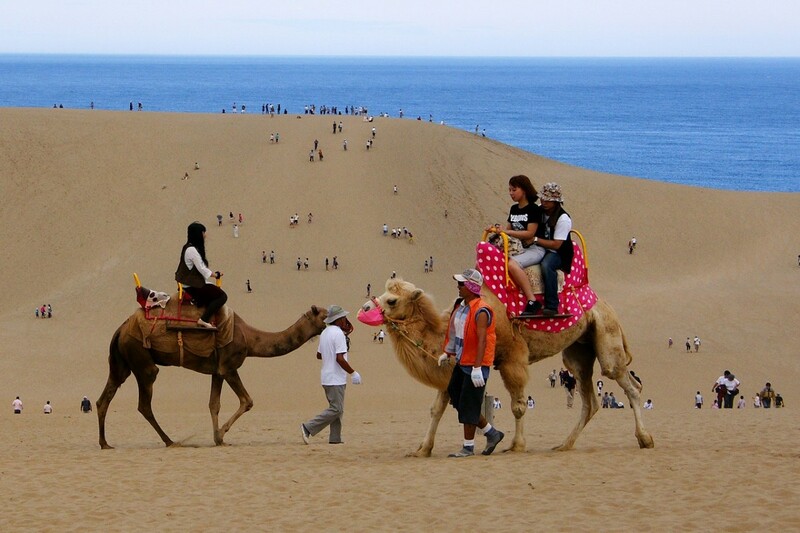 You can access the sand dunes by bus from Tottori Station, which takes about 25 minutes. 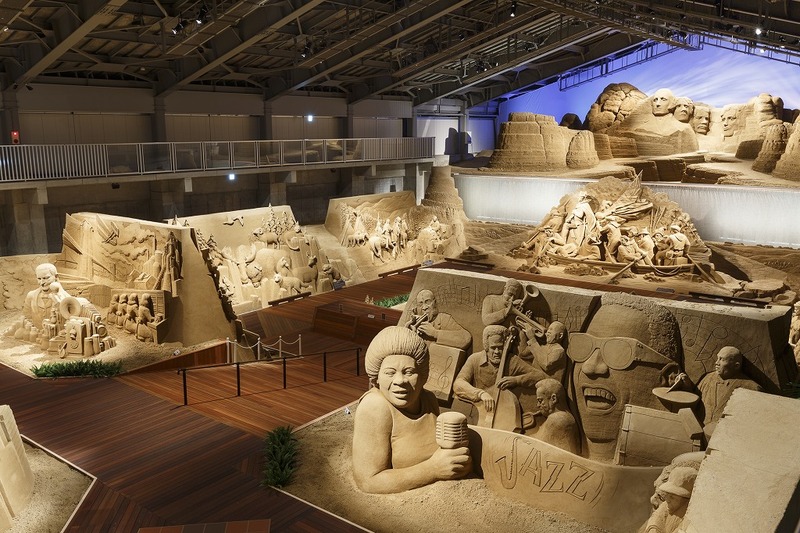 Tottori’s Sand Museum was opened in 2006 and is the world’s only museum featuring works of art created using sand. Every year, sand artists from around the world are invited to create new works of art devoted to the theme of “World Traveling Using Sand”. The museum is located near the entrance of the sand dunes, so it would be great to pair these two experiences together. For more information on the Sand Museum, please go to Historical Sculptures Made Of Sand?! The Tottori Sand Museum. In Tottori, from the time before the war through to its end, the town doctor Shoya Yoshida spearheaded the restoration of folk crafts in the area. 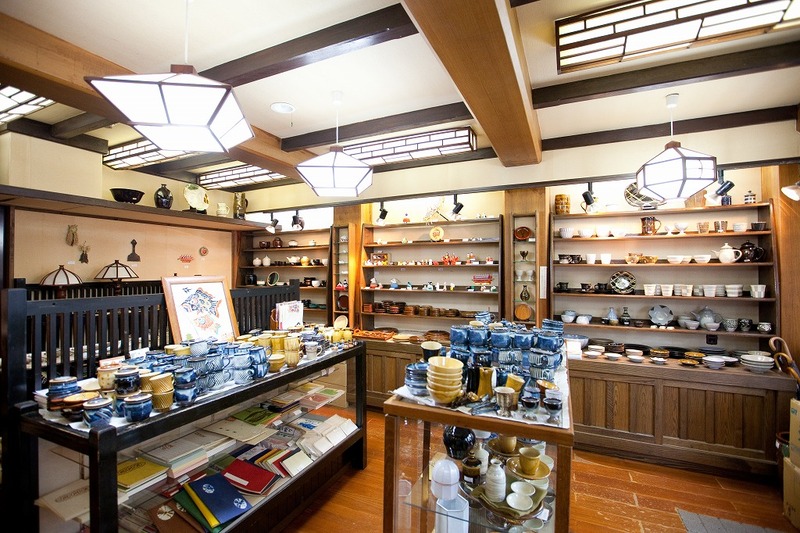 Near JR Tottori Station is the Tottori Folk Museum Street with award-worthy, beautiful pottery at the Tottori Folk Crafts Museum, handicrafts you can buy at the Tottori Takumi Craft Store and local cuisine you can experience at the Takumi Restaurant. 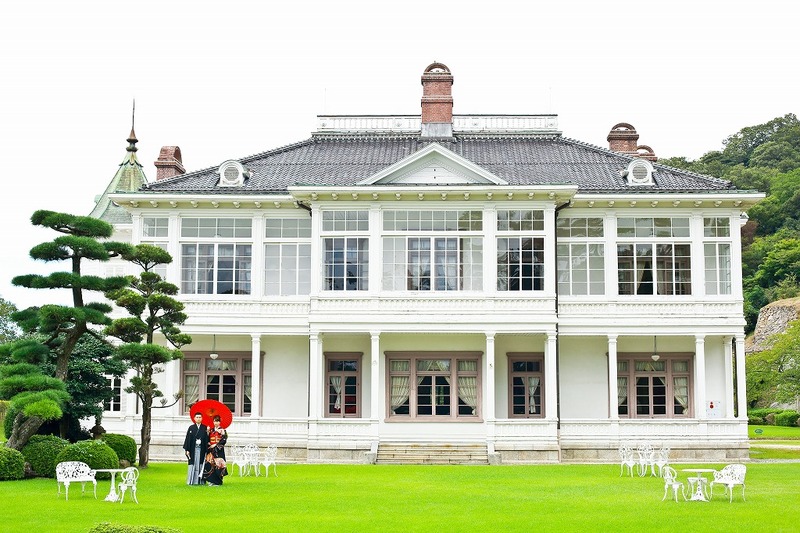 Ten minutes by bus from Tottori Station is the Jinpukaku, constructed in 1907 for Emperor Taisho in San’in. Constructed in the style of the French Renaissance, this two-storied wooden building was used as a lodging house and to this day, retains an exquisite interior worth seeing. 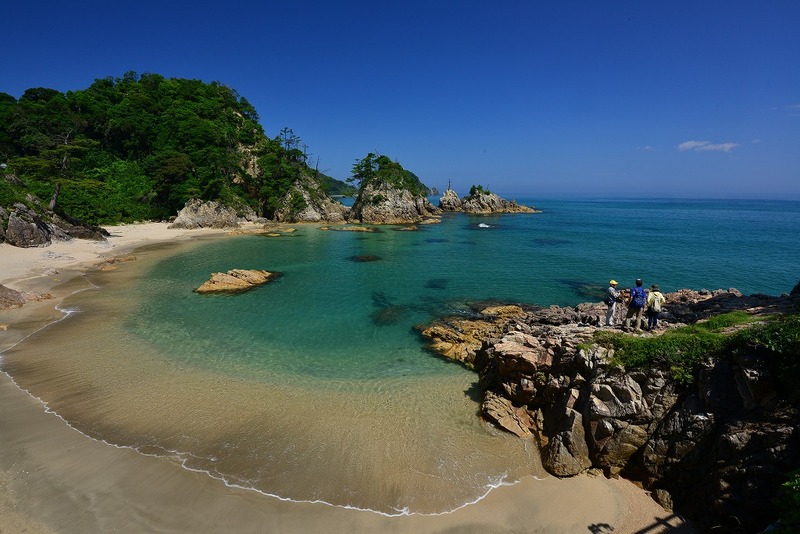 Uradome Coast (San’in Kaigan Geopark) is a place with a beautiful clear sea and breathtaking view. 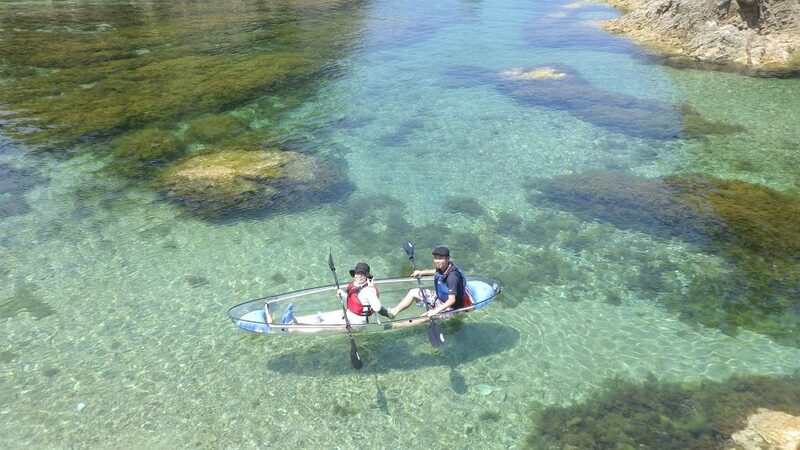 There you’ll be able to cruise around all of the islands, go kayaking or enjoy some snorkeling. To learn more about sea kayaking and other activities on the coast, please click here, and if you’d like to make a reservation for any activities, click here. The best way to get to Uradome Coast is to take a train to Iwami Station and rent a bicycle at the shop in front of the station. Inside the Kojiki (Records of Ancient Matters), Japan’s oldest historical record, there’s a legend of a weeping rabbit whose skin was peeled off by a shark but was saved by Izumo Shrine’s deity Okuninushi. 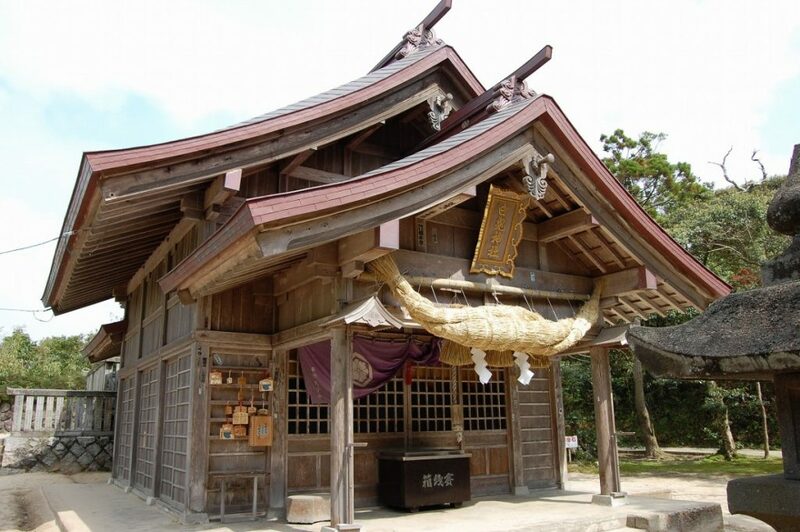 The Hakuto Shrine was built in connection with this legend and is where Okuninushi married the beautiful Princess Yagami, which has made it a great location for marriages. The shrine is located 40 minutes from Tottori Station by bus. 50 minutes from Tottori city lies Chizu, a lodging town from the Edo period. Within the city is the Ishitani Residence, a structure that signifies the transition of architectural technology from Azuchi-Momoyama period to the present day. Nearby is the traditional Japanese restaurant Mitakien that’s famous for using edible wild plants (vegetables growing wild in the hills and fields) in their dishes. Wakasa Railway, established in 1930, is a nine-station local train line that runs from Koge Station to Wakasa Station. Along the tracks remain the same old sights from when it was first opened. You can purchase an all-day pass for 760 yen. 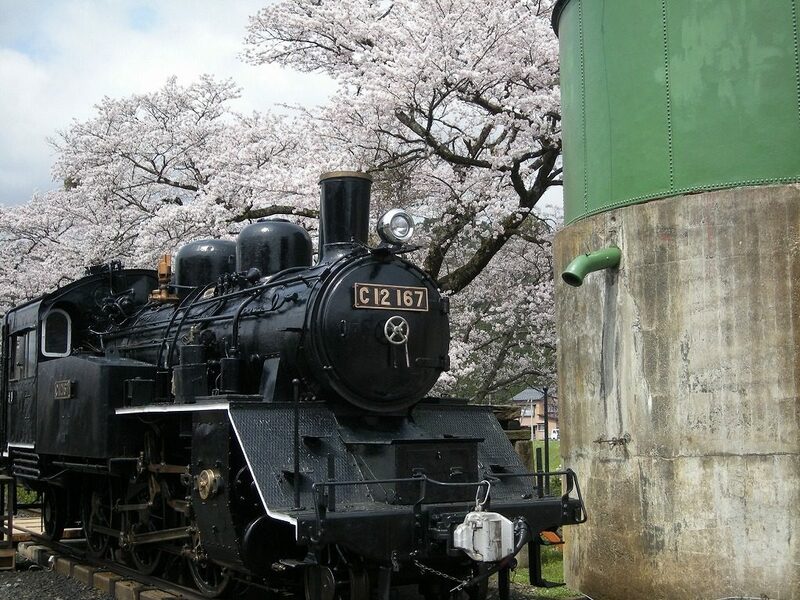 For more information on Wakasa Railway, take a look at Wakasa Railway – Feel The Local Charm Of Tottori! 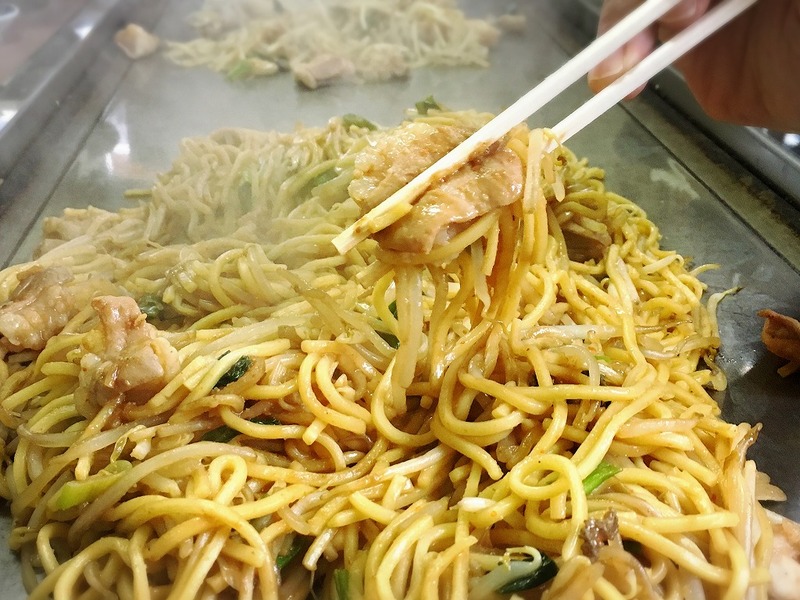 In Eastern Tottori, you’ll, of course, be able to eat fresh seafood but you’ll also be able to experience things like Fried Noodles with Offal, fried noodles with pan-fried offal. If you’re looking for a nice seafood restaurant, there’s a great place close to JR Tottori Station in Tottori Harbor’s Market called Karoichi. There you’ll be able to experience fresh seafood caught right there in Tottori’s very own harbor. A bit farther away yet just as important to check out is Coco Garden, Oenosato’s Natural Farm, where you can eat the popular pancakes made with eggs from free-range chickens. You’ll be able to have a myriad of pleasurable experiences when visiting Eastern Tottori, such as touring historic sites, various leisure activities and fabulous cuisine. So don’t just visit the inner city of Tottori but take yourself out into the surrounding areas to get the full experience. 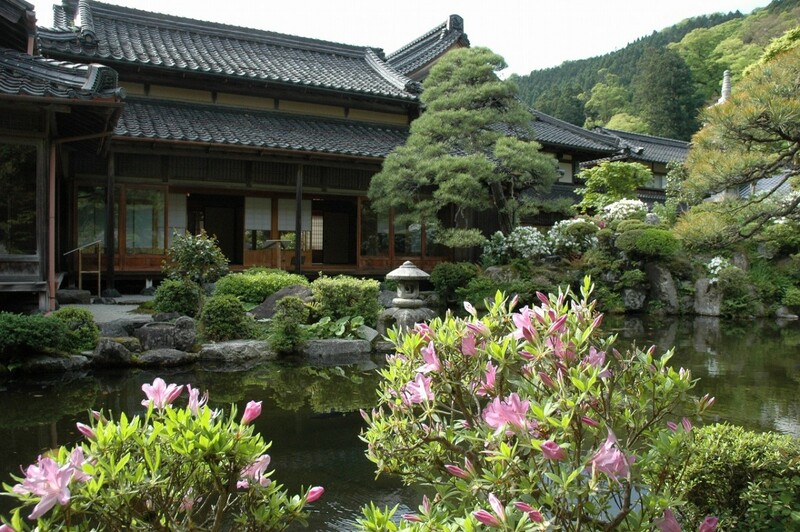 You’ll surely have the chance to experience the nostalgic sights of old Japan.